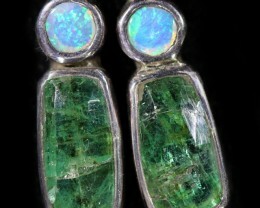 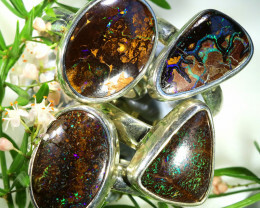 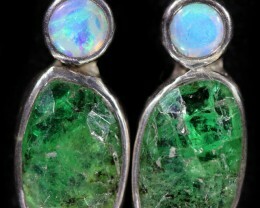 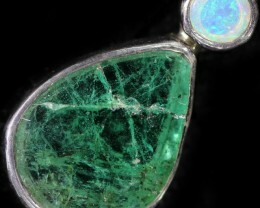 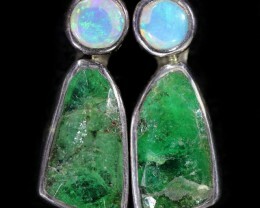 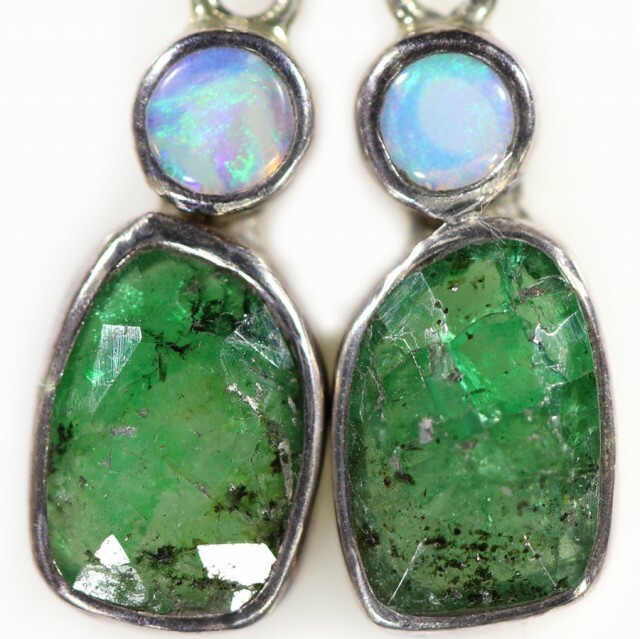 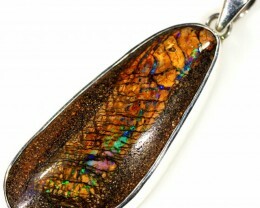 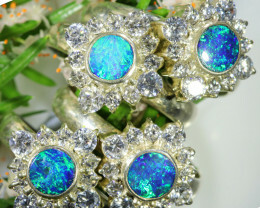 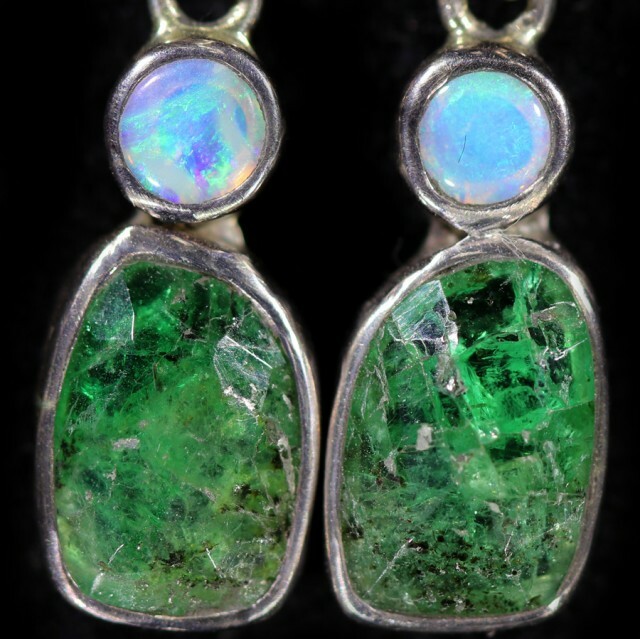 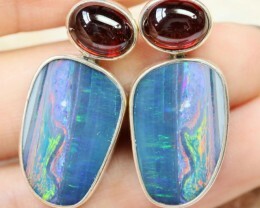 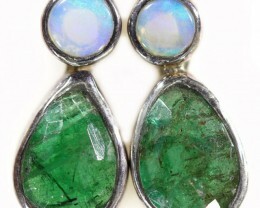 SEDA OPAL JEWELERY This is a natural crystal opal mined in coober pedy. 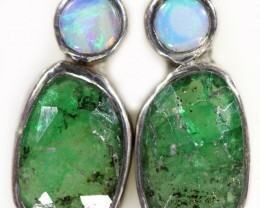 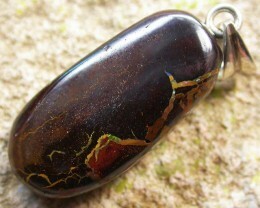 The emerald is a natural untreated stone from Africa. 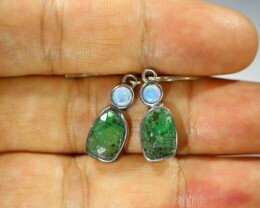 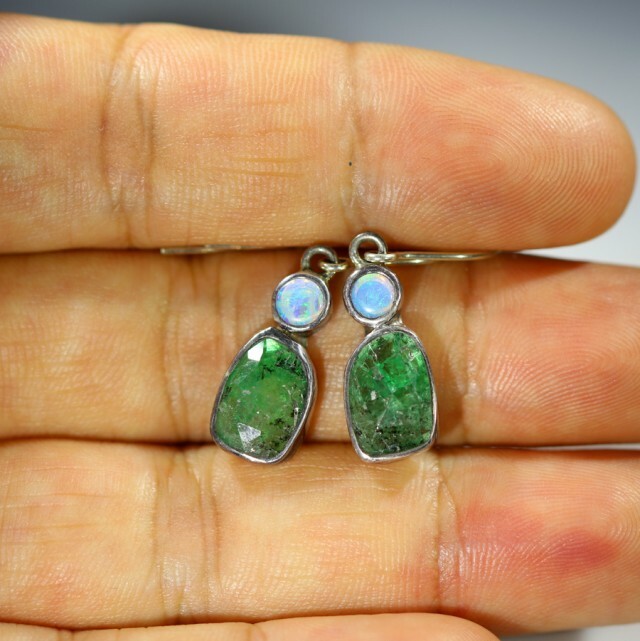 Hook earrings Silver stamped 925 Note you could improve the appearance of this emerald by oiling which is a common practice for this stone.